Cecilia, a young woman whose ancestors loomed large in Rome’s history. She vowed her virginity to God, but her parents married her to Valerian of Trastevere. Her husband was converted and he and his brother developed a ministry of the burial of martyred Christians. In their turn they were arrested and martyred for their faith. Cecilia buried them at her villa on the Apprian Way, and was arrested for the action. 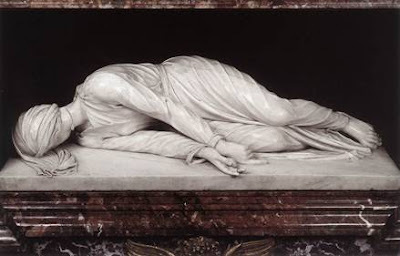 She was ordered to sacrifice to false gods; when she refused, she was also martyred.